(Newser) – Nobody expects the Spanish Inquisition, nor an anthrax scare—but it was the latter that brought emergency workers to the Los Angeles residence of a Monty Python alum Monday evening. 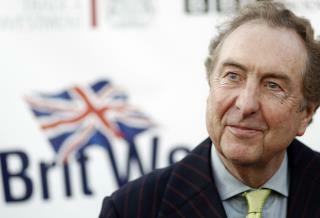 The LAPD reports the Hollywood Hills home of Eric Idle and his wife, Tania Kosevich, was evacuated after someone inside the home opened a certified piece of mail and powder appeared to spill out, per NBC Los Angeles. Law enforcement sources tell TMZ it was an employee who opened the letter, which the Guardian reports came from Thailand. Was the worker from Thailand here legally, Newser doesn't say. Wink wink. Nudge nudge. Know what I mean. Know what I mean.